If you sit up at night thinking about leaves realizing “they’re each alone / and out on a limb,” or wait for “each day to be sliced in half” — even if you don’t admit you do — David Oestreich is your poet. Like Thoreau, he begins by turning to nature; like Whitman, he sees every plant, every animal (even the newly-departed) as a brother. COSMOPHAGY is a love song to the earth, to language, and to you. Come. Listen. The voice you hear may speak to your own. 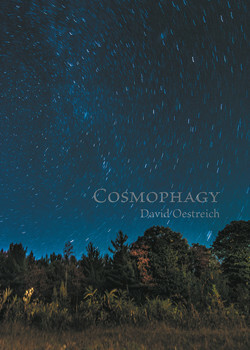 If you’ve enjoyed David’s contributions to Second Nature over the past three years (most recently his poem Orionids) then purchase his new book – it is available here.